Please join us in honoring this extraordinary couple for their contribution to our community, and especially to our youth. Best Of Awards Dinner a Grand Success! First and foremost, congratulations to the winners of Best of Washington Township for 2018! 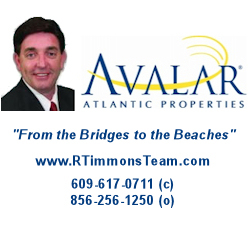 For a complete listing, click here. The community came out strong in support of the Best Of Washington Township winners for 2018. 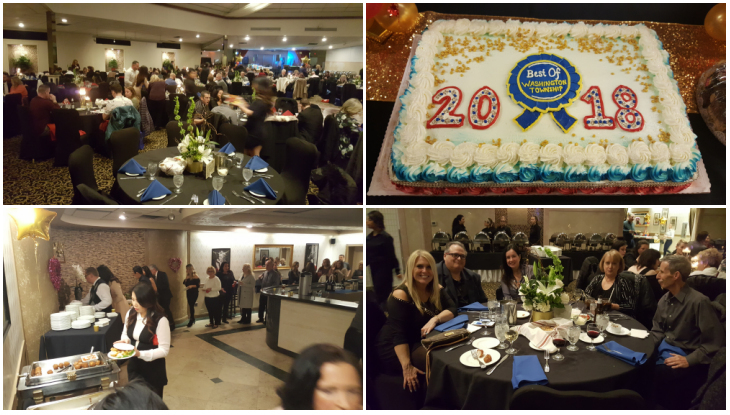 It was a sellout crowd; more than 280 were in attendance at Scarpinatto’s Cucina and Catering when Best Of winners were recognized for their contributions and service to the community, as selected by the community. Thank you to everyone who voted and everyone who came out to help us celebrate – this was our biggest voting year and largest Best Of Awards attendance to date! And we’re not done thanking our 2018 winners. Keep an eye out for our email with details of our 2nd Annual Best Of Block Party, where winners will receive a free space to mingle with the crowd. Join us for our annual Holiday Party, Wednesday December 19 at 1:00pm. Members receive FREE admission when they bring an unwrapped toy for the Washington Township Mother’s Cupboard Toy Drive (limit one free admission per company). A fun time was had by all at the annual Golf Outing. Thanks to everyone who came out, and to Scotland Run for a lovely event. Moozie’s Play Café has been entertaining, teaching and delighting children of the greater Township area for almost 3 years! The brain child of Aimee and Fred Kirvan, Moozie’s was the answer for two entrepreneurs who had a desire to be their own bosses, provide a more hands on family life for their own 3 boys, and fill the void of a safe, clean, and fun environment for families of little ones in Washington Township. Moozie’s Play Café is Township’s one stop shop for all things FUN! From Open Play, tons of class options (including sports, drama, music, yoga, art and dance), customizable birthday parties, special events, and a truly unique drop off, Montessori inspired Play Group Program- there is nothing we can’t do. Now approaching our 3rd year in business, Moozie’s is continuing to give back to our wonderful community. We are currently 120 families strong in our Lil’ Moovers (Community Outreach Program), which started at Moozie’s inception. This program teaches our littles the importance of giving back through different service projects including preparing dinner for our firefighters, cleaning up our local parks and visiting our seniors at local senior centers. And new this year, you may have seen our “Moozie’s Mobile” at the Washington Township 4th of July Parade or even our sponsored soccer team on the fields! While we love visibility around town, we think it’s an incredibly important way to say “Thank you!” to our wonderful customers who have made our store such a success. Keep an eye out…who knows where you’ll see us next! Thanks to Moozie’s for hosting a Chamber Breakfast, Tuesday October 16, 8:30 at their location at 7 Shoppers Lane, Turnersville NJ. Please join us in welcoming Moozie’s to the neighborhood! 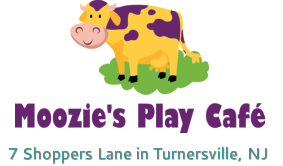 For more information about Moozie’s, their facilities and services, please visit their website at http://www.mooziesplaycafe.com. 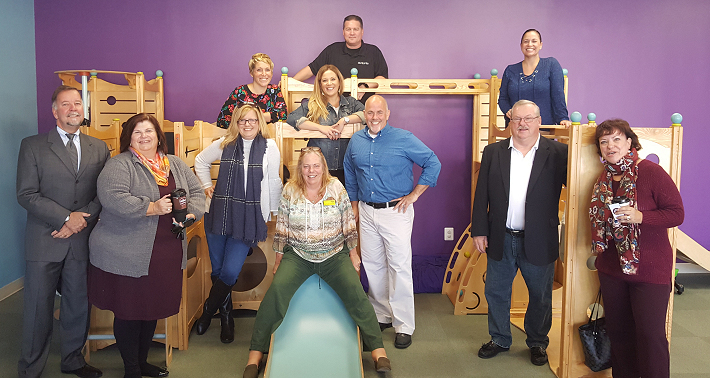 The Greater Washington Township Chamber of Commerce (GWTCC) is focused on helping businesses in South Jersey grow by facilitating community based events throughout Washington Township and surrounding communities. 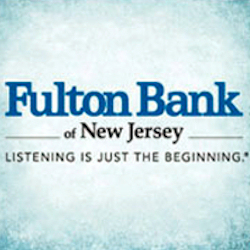 Through our foundation, the Greater Washington Township Chamber of Commerce is able to give back to our community by helping our community’s families grow through educational scholarships.